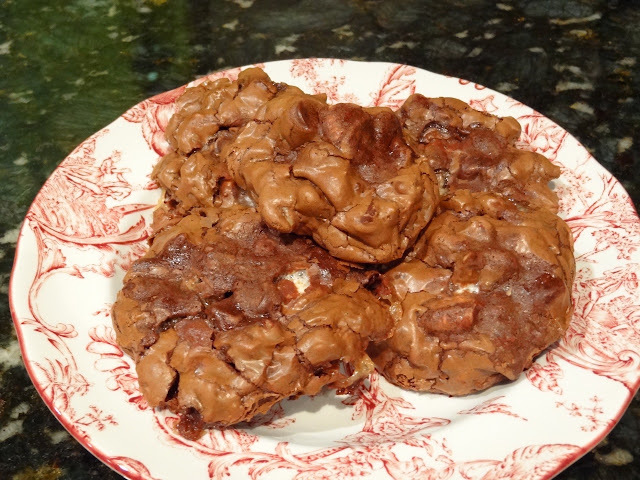 These cookies are seriously chocolatey! 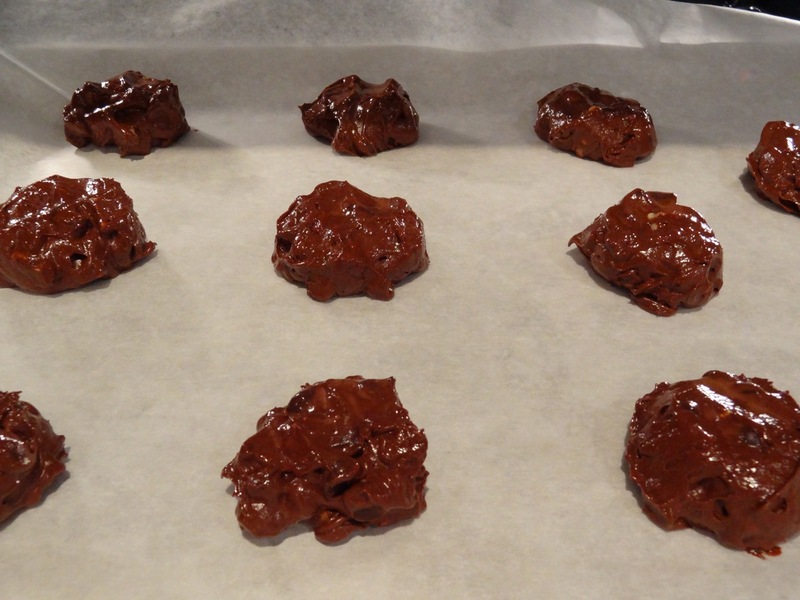 They’re almost flourless, with only a 1/3 cup of flour to about a pound of chocolate. Last week, my mom came to visit me at work for the first time. She also met my co-workers, and to our surprise, brought us all cookies! Since I work with a lot of guys, these Triple-Threat Chocolate Chip Cookies were a hit…my mom said she will visit again soon with another surprise dessert for them to enjoy…I assume it will be something of the chocolate persuasion! You better like chocolate if you plan on eating these! They are very dark and rich and would pair perfectly with a cold glass of milk or with coffee, for those who like it. My favorite part in these cookies are the marshmallows. I think they make the cookies a little more gooey and chewier on the inside. 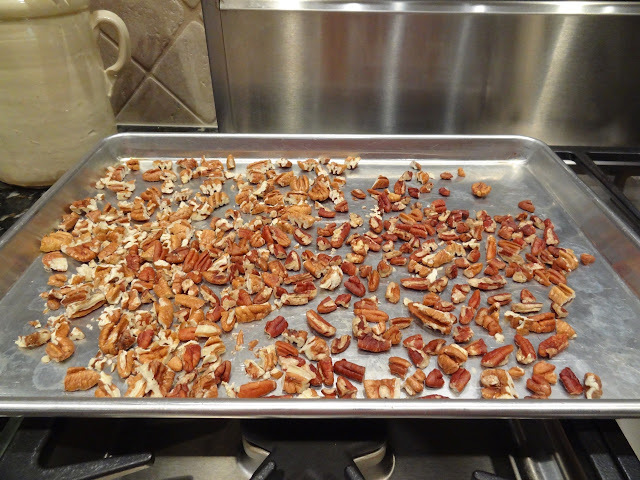 Toast pecans and walnuts for 7-9 minutes in 350 degree oven. Let cool completely. 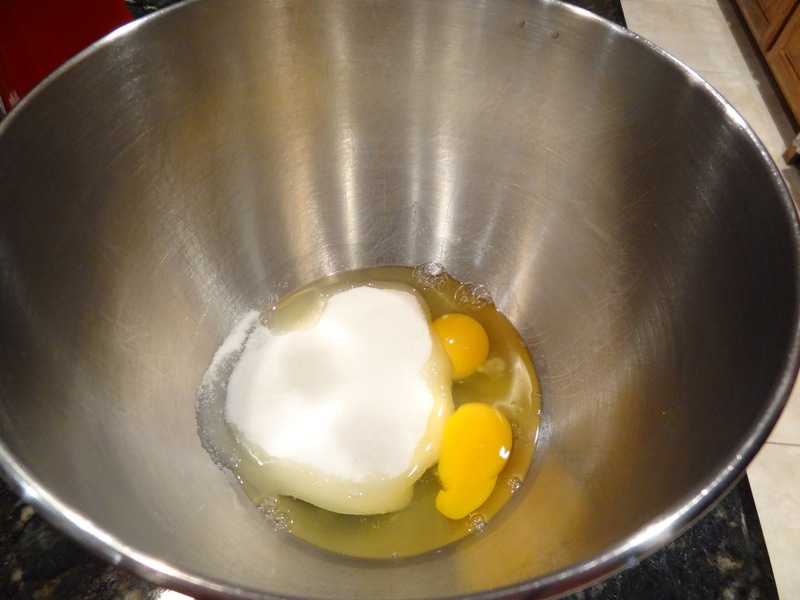 Beat eggs and sugar in mixer for 3 minutes. Add vanilla and melted chocolate. Beat for 2 more minutes. Add flour, baking powder, and salt, stirring until just incorporated. 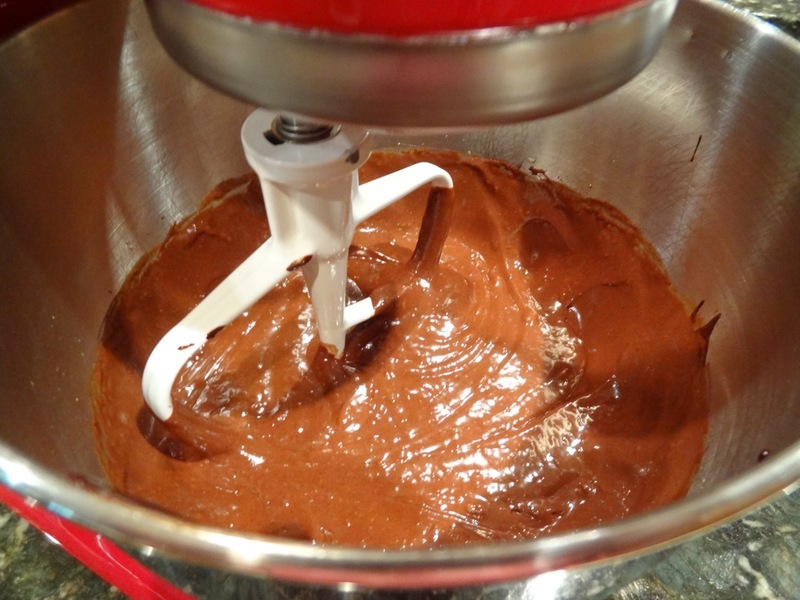 Use a 1 3/4 inch diameter scoop to drop spoonfuls of dough on prepared baking sheets spaced 1 1/2 inches apart. Bake for 10-12 minutes in a 350 degree F oven, or until tops begin to crack and look glossy. Cool 10 minutes and enjoy with a cold glass of milk! *These are called Triple-Threat Chocolate Chip Cookies if you leave out the marshmallows. 1. Preheat oven to 350 degrees F. Arrange the pecans and walnuts on a baking sheet in a single layer and toast for 7 to 9 minutes until golden brown. Cool the nuts completely. 2. Grease baking sheets generously with butter or cooking spray. 3. 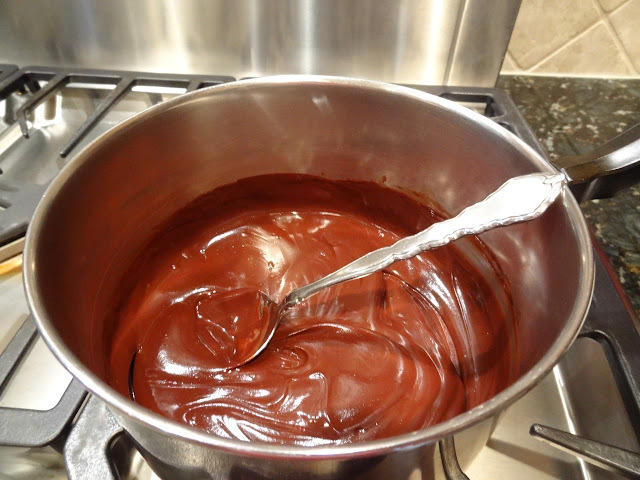 Melt the butter, bittersweet chocolate, and unsweetened chocolate in a small saucepan set over low heat. Stir occasionally, watching carefully to make sure the chocolate does not burn. Remove the pan from the heat to cool. 4. 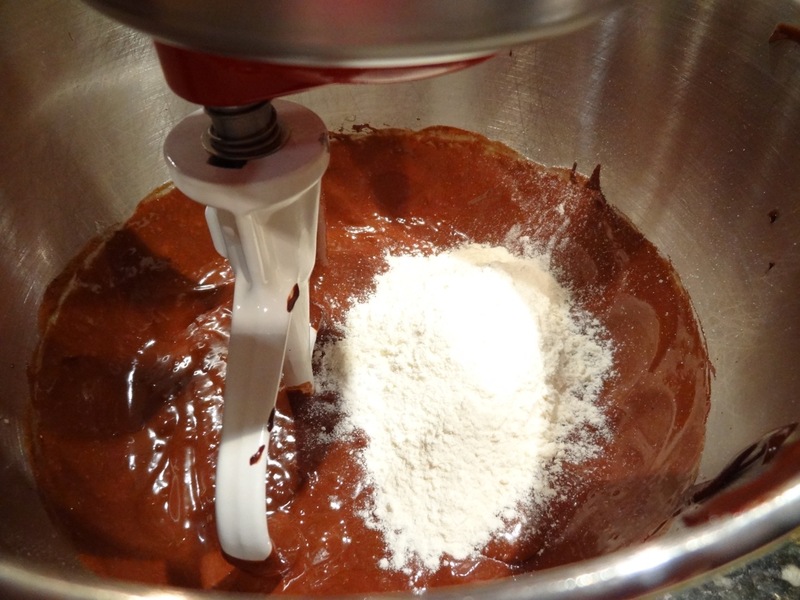 Using a mixer fitted with a paddle attachment, beat the eggs and sugar in a large bowl on medium speed for about 3 minutes, until fluffy. Add the vanilla and melted chocolate. Beat on medium speed about 2 minutes, until the dough is thick and glossy. 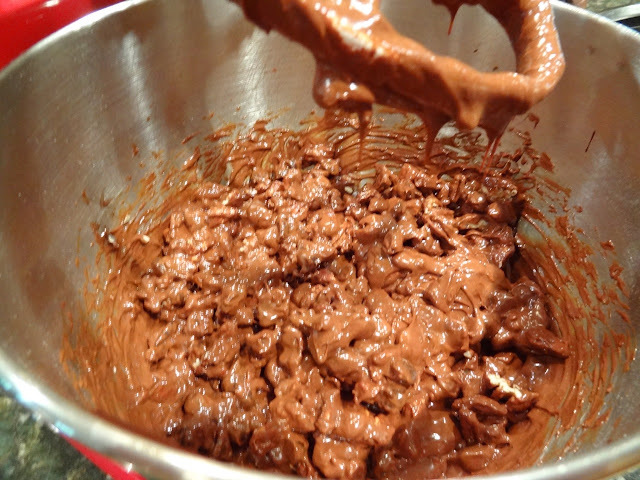 Add the flour, baking powder, and salt to the chocolate mixture, stirring just until incorporated. 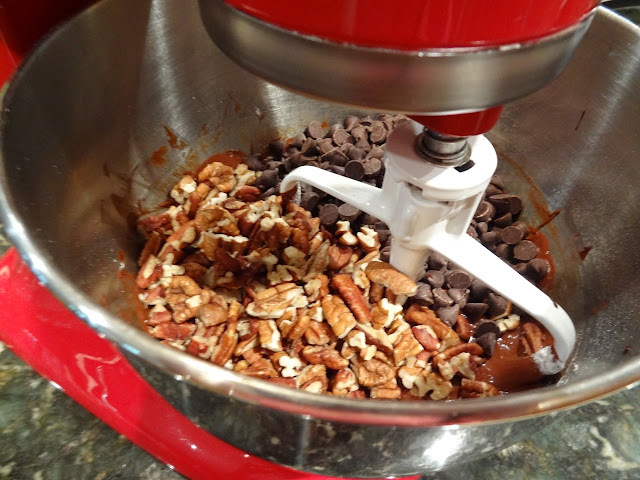 Stir in the nuts and chocolate chips. Let the dough rest another 20 minutes, which makes it easier to scoop. 5. Use a 1 3/4 inch diameter scoop to drop spoonfuls of dough on the prepared baking sheets, spacing them at least 1 1/2 inches apart. Wet your fingertips lightly with water and gently flatten the cookie dough (no need to press hard, just press out the hump). 6. Bake for 10-12 minutes, until the tops begin to crack and look glossy. 7. 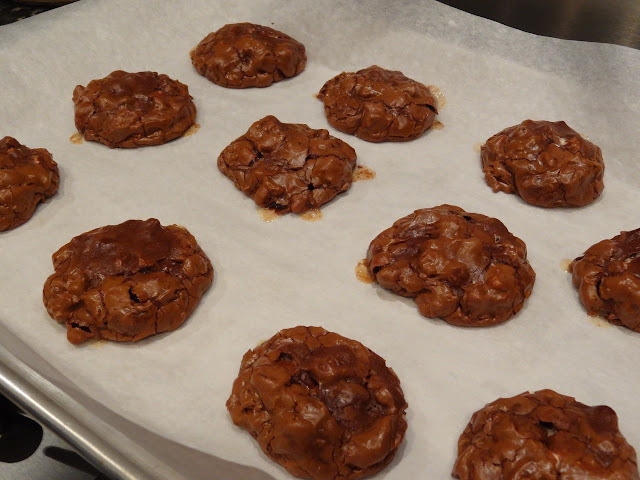 Cool the cookies for 10 minutes before removing them from the baking sheets.